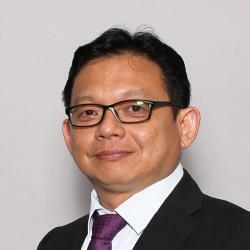 Professor John Wang is Dean, Graduate Studies and Professional Learning, National Institute of Education, Nanyang Technological University, Singapore. He is also a Professor in the Physical Education and Sport Science (PESS) Academic Group. He has served as Head of PESS, Programme Director of Sport Science and Management Degree from 2011 to 2014, and as Associate Dean for Research Management and Programmes of the Office of Education Research from 2015 to 2018 previously. He was also President of Singapore Physical Association from 2012 to 2016. As Dean, he is responsible for innovating and offering professional development programmes for all Singapore teachers in the areas of academic higher degrees, leadership and in-service courses and professional learning programmes. Professor Wang is a BPS Chartered Psychologist and Associate Fellow and registered with the Health Professions Council of UK as a Sport and Exercise Psychologist. He obtained his PhD from Loughborough University in the United Kingdom in Sport and Exercise Psychology. His areas of research include motivational and emotional aspects of physical activity and exercise, as well as in academic subject areas. His recent publications have been on sport ability beliefs, achievement goals, intrinsic motivation, emotion, and self-esteem. In addition, he also wrote papers on outdoor education, project work, internet gaming, and problem-based learning. His strength is also in statistical analyses, structural equation modeling, multilevel analysis and latent growth curves analyses. Dr Wang leads a group of NIE staff in the Motivation in Educational Research Lab (MERL) in NIE. The aim of MERL is to focus on specific motivational issues related to education and works on translating theories into knowledge for evidenced-based practice in education. To date, Dr Wang has published more than 170 refereed articles and book chapters, and more than 200 conference papers, presentations, and other publications. He has presented in various keynote speeches in international conferences and invited presentations. His work is widely cited internationally. He is also a member of 14 editorial boards, including International Journal of Sport and Exercise Psychology (Section Editor), and International Journal of Asian Society for PE, Sport, & Dance (Associate Editor). He has been involved in more than 50 research projects with a total grant of more than $4 million Singapore dollars.